Everyone’s favorite loincloth-wearing, sword-wielding, bowl cut-having, insanely muscular prince of Eternia is coming to the big screen. In the flesh. 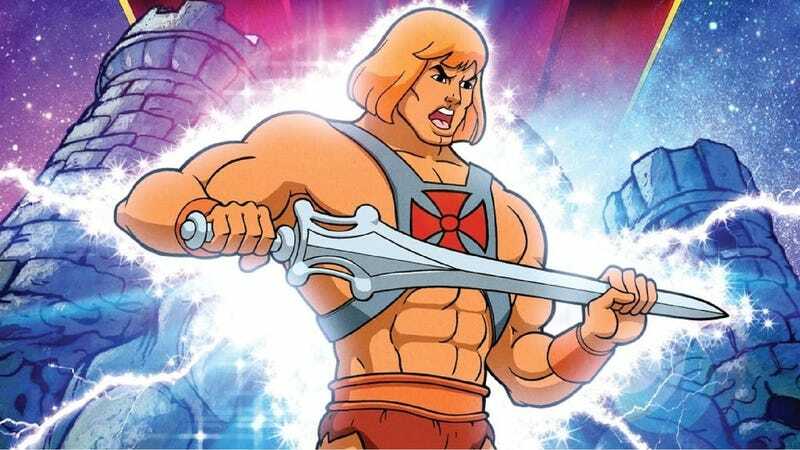 Sony wants to bring He-Man and the entire planet of Eternia to life in a set of movies that sound....well, like He-Man. And they’ve got a director in mind—the film’s writer, David S. Goyer. Sony is courting Goyer, known for writing the scripts for Christopher Nolan’s “Dark Knight” trilogy, to direct a new live-action film based on Mattel’s Masters of the Universe franchise. Goyer’s writing resume is extensive but his most famous directing gig to date has been Blade: Trinity. Mattel’s Julia Pistor and David Voss are acting as co-executive producers with additional project oversight from Sony’s Matthew Millam. While Goyer is still only in talks to direct the project, he was already working on the script for them. According to The Wrap, Sony’s planning for the trilogy to be a rather faithful adaptation of the original. Prince Adam will go through his mystical transformation to take on Skeletor, a muscular skeleton. This is high art. While it sounds as if Sony might try to go for a gritty, realistic take on the He-Man franchise, if they really wanted to do something bold, they’d lean heavily into the ridiculous, absurd camp that the original series has. Rule of thumb: the cooler you try to make He-Man the less interesting he becomes. What we really need to be thinking about now, though, is who’ll play She-Ra?